This website, and the content I publish here and on YouTube, are purely a labor of love. I do this because I love what I’m doing! I want to share the fun and the experiences, and hopefully inspire more people (especially the younger generation) to engage in aviation. As it is with everything else, there are always costs associated with these activities – video cameras, editing software, website hosting, flight tools, and flying itself! While I do not charge and don’t intend to charge for the content that I share, some people might feel inclined to contribute monetarily for the content they obtain from my internet channels. And I would certainly appreciate that gesture! It’s a motivation to continue creating and sharing my aviation videos, and improving the quality of the content I generate. And that’s why this page is available to you. If you like what you see and feel inclined to give back, I will certainly appreciate your generosity! The link below will take you to my PayPal donation page, where you can setup any type of donation you feel is appropriate. If you can’t donate, don’t worry! Just having you here is an honor, and I hope you enjoy the content I produce and publish for you. On a last note, I appreciate if you can take the time to like and subscribe to my Facebook Page and YouTube Channel. Help me share them with your friends, please! 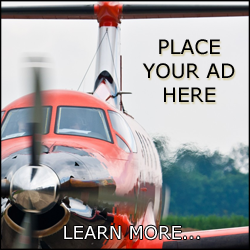 Let’s show them that general aviation is safe, exciting, and lots of fun! Thank you for your consideration! Fly high, fly safe! Like my videos? Thank you! Want to contribute? I appreciate it!